Comment: Great consultation, cut & style. Came in based on a recommendation from a friend and will definitely be back. Comment: Thank you Ivo you do such an amazing job with my hair and the colour is fantastic,i will definitely tell my family and friends about your salon,Excellent job. This is what our clients are saying….. Comment: Jamie is the best mens hair stylist in Barrie hands down. 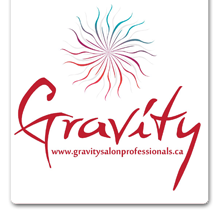 Comment: Simply put I love going to Gravity Salon. It’s an instant get away walking through their front door and the team is a delight to be with. Extremely professional and yet very personable.